Located on the Mayan Palace Master Plan in the Mayan Lakes – Unit 203 is now for sale. This beautiful 2 bedroom 2 bathroom condo has a great layout with a large open living area and kitchen with patios off the front of the living area and master suite. The guest bedroom also has its own patio for privacy and amazing sunrises. 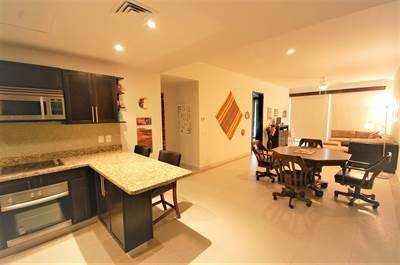 Outside of all the amenities Mayan Palace has to offer from the amazing common area to the Nicklaus design course this condo has its own common are with the benefit of a roof top deck with barbecue area, bar and pool. Sit under the stars and enjoy the good life after an amazing day enjoying your choice of common areas and or a round of good. The good life truly at a fraction of the cost. Call now to see this amazing condo. 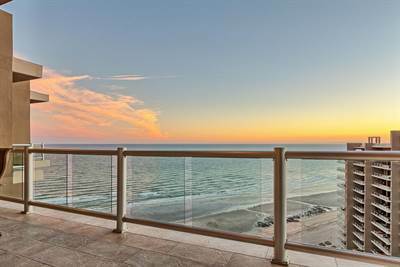 Absolutely amazing views from this phase 2 Ocean front Penthouse located on the popular Sandy Beach of Rocky Point Mexico. 4 bedrooms 4 bath with all bedrooms have views like no other. From the living area experience Rocky Point the way it was supposed to be experienced. Sunsets that will leave you wanting one day. This penthouse is one of two penthouses in the front building of Phase 2. 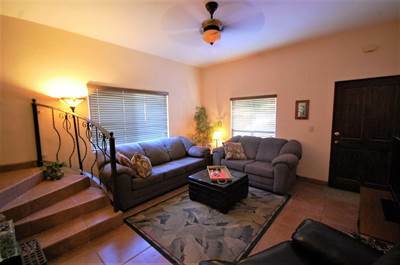 Large living area, great open layout, large kithen counter with room for the entire family. While living area and master have the best view wait till you see the view from the back 3 guest bedrooms. Beautiful city lights, the old port and ocean views. Something you have to experience. With over 2750 square feet liveable you truly feel like you are on top of the world. Sold fully furnished this private access penthouse will not last long. Call now for one step closer to your good life. Coronado 1601 awaits. Property held in LLC for minimal closing and options for a quick close. 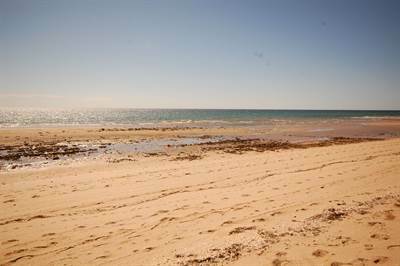 Great beachfront premium parcel for sale inbetween town and international airport! Located on the beach many consider the best in Rocky Point Mexico – the very same beach the Mayan Palace / Vidante developed on is this amazing opportunity. • 600 sqm single story – FOR SALE USD33,500 . Lot is located in the 4rd row from the beach with ocean views from the second story possible when built up. Total Area is 6,458 sq. ft. / 600mts. this lot provides you with building opportunities for a spectacular home, private countyard and large garage. Playa Encanto, very often is considered Rocky Point’s ”pristine” beach. Electricity assessment has been paid.$ 10,000 US dollars value. Las Conchas Sec. 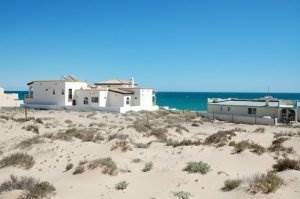 1 Lt.131 in Las Conchas, Puerto Penasco/Rocky Point is Sold! in Las Conchas, Puerto Penasco/Rocky Point The apartment at Las Conchas Sec. 1 Lt.131 has been sold. Posted on July 11, 2018 Author Branden MackenzieLeave a comment on Las Conchas Sec. 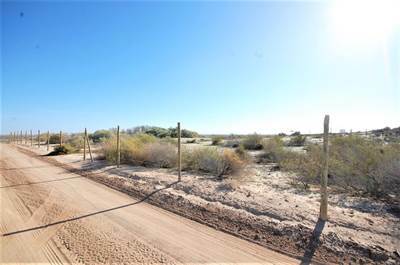 1 Lt.131 in Las Conchas, Puerto Penasco/Rocky Point is Sold! • 4 bath , 1 half bath , 4 bdrm single story – FOR SALE USD98,000 . Located on one of the most beautiful beaches in Mexico this amazing beachfront 1/8th share is now for sale – Casa Sueños!. 4 bedrooms with 4 and a half bathrooms, large patio, multiple fireplaces, boat ramp, beachside heated spa… you just need to show up and enjoy. Each room has its own bathroom and private beach patio entry. A handcrafted Stained glass window, gourmet kitchen, great room with vaulted ceilings – such an amazing home for those looking to enjoy the very best beachfront living has to offer. Call now for a tour of this incredible beachfront home. Each bedroom has it’s own bath & private beach patio entry.